Hopefield Fab – industry leaders in producing metal bar tops, over bar glass racks, under-counter units and decorative metalwork – are on the lookout for new apprentices to join their firm. Hopefield Fab Ltd recently obtained Master Craftsman status. The Guild of Master Craftsmen is the UK’s most established trade association “representing skilled and rated tradesman, craftspeople, artisans and other professionals who strive for excellence in workmanship.” This, in addition to the management team having over 80 years’ experience; makes them the ideal traders to learn from. 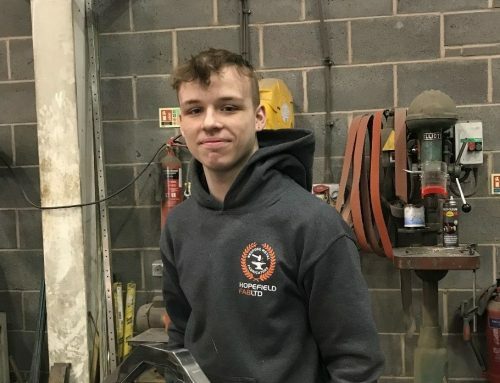 The company currently employs three apprentices: Corey Salisbury (16), Jake Sawden (19) and Dion Davies (18) – all attending Alliance Learning Centre, Horwich. 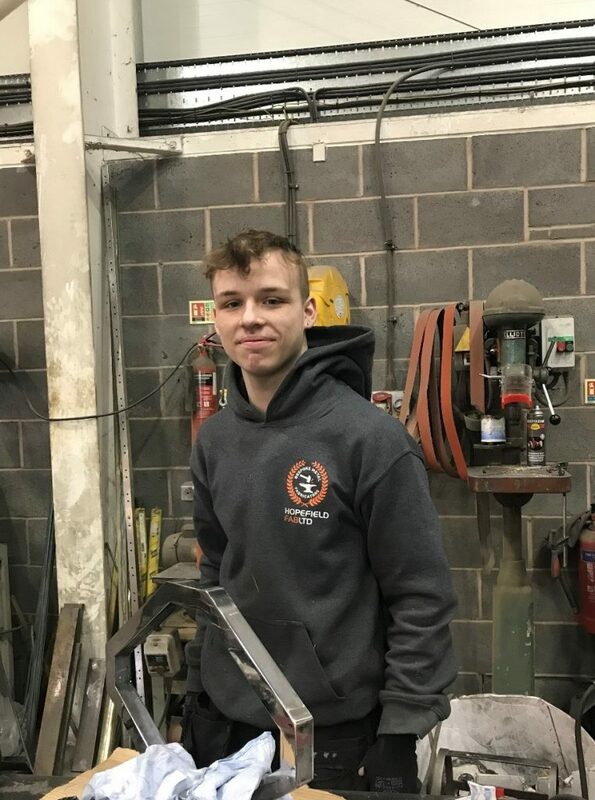 To work at Hopefield Fab Ltd, apprentices must show initiative and will learn throughout their apprenticeship to have the ability to work out the cost of production, how to match designer’s expectations, and nurture their creativity.